Pasta with a light and creamy sauce, tender chunks of tuna, and peas is ready in about 15 minutes start to finish. This is the kind of recipe that I wish I'd known in college. All it takes is a single large skillet or pot, one burner or hot plate, a bowl, and a fork. That's it. And on top of that, it turns out a dish that's not just good-given-the-constraints, but legitimately good-enough-that-I-would've-made-it-for-that-girl-I-was-trying-to-impress-in-college or even good-enough-for-a-mildly-romantic-weeknight-dinner-with-the-wife. Cooking the pasta in a skillet provides you with extra-starchy liquid to help bind and emulsify your sauce. Crème fraîche combined with egg and cornstarch produces a creamy sauce which coats the pasta while maintaining a light and creamy texture. With only a few ingredients and a start-to-finish cook time of 15 minutes, it's the ultimate weeknight meal. Note: To make a more traditional casserole, transfer hot tuna noodle mixture to a baking dish. Top with crushed potato chips or bread crumbs and broil about 8 inches from the broiler element until crisp and browned on top. 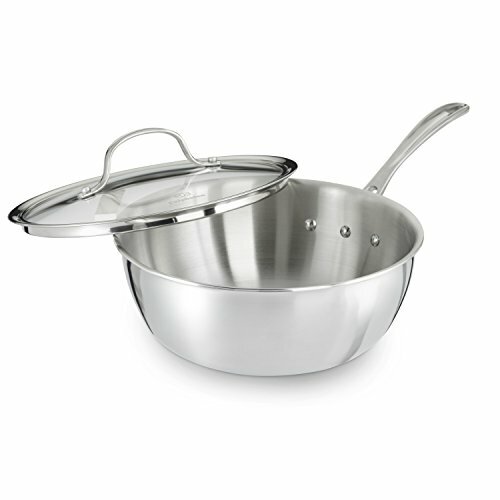 Place noodles in a large saucepan or skillet and cover with room temperature tap water by 1 inch. Season lightly with salt. Bring to a boil over high heat and cook, stirring occasionally, until almost done (follow package directions for cook times). Drain all but 1 cup of water. Return to high heat and simmer until water is almost completely reduced. Meanwhile, combine crème fraîche, egg, cornstarch, and 1 tablespoon lemon juice in a medium bowl and whisk with a fork or whisk until homogenous. When noodles are cooked, add crème fraîche mixture to skillet and cook, stirring and tossing constantly, until sauce thickens and coats noodles. Season generously with black pepper and salt. Off heat, gently fold in tuna, peas, parsley, and remaining lemon juice until warmed through. Serve immediately drizzled with extra-virgin olive oil and sprinkled with crushed potato chips, if desired.